Leverage the deep marketing and business expertise of our team of seasoned marketers, along with the power of Domino Decisions, to help ensure success. Measure twice, cut once. Find out if your marketing campaign or plan will meet your goals before you spend a dime. Our experienced team helps you tame the chaos and build a marketing center of excellence that is more productive, integrated, and agile. 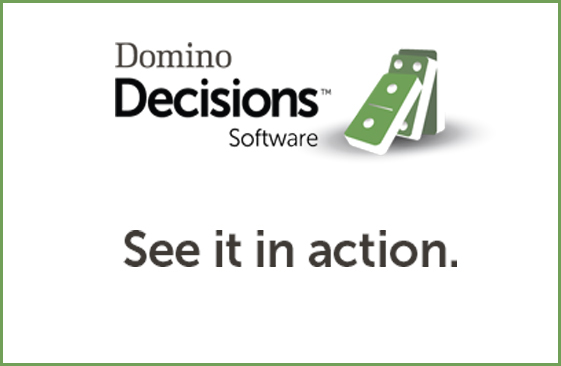 Let us use the power of Domino Decisions™ to make planning faster, easier, and more comprehensive – while you and your team stay on task. Lack of data is not the challenge—making sense of it is. Gain actionable insights that lead to more effective decision-making.